Neutral coconut and beeswax blended candles with a braided cotton wick, in a glossy black glass tumbler. Comes in an embossed matte pink carton. Manufactured in Los Angeles, California. 3oz per votive candle. Inspired by the floral photographs of Gregory Crewdson, the newest scent Cinderose exposes the sinister side of the familiar. 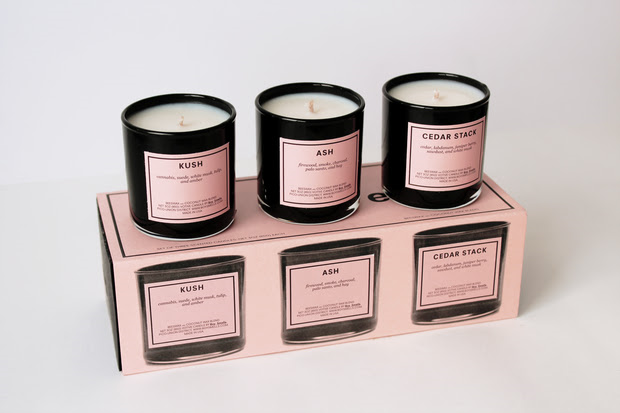 Notes of rose, orange blossom, and jasmine are mixed with smoke, cedar, and birch tar to create a scent that is both beautiful and troubling. Neutral coconut and beeswax blended candles with a braided cotton wick, in a glossy black glass tumbler. 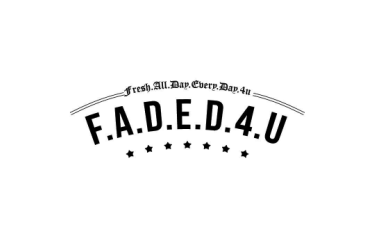 Comes in an embossed matte pink carton. Manufactured in Los Angeles, California. 8.8oz per candle. 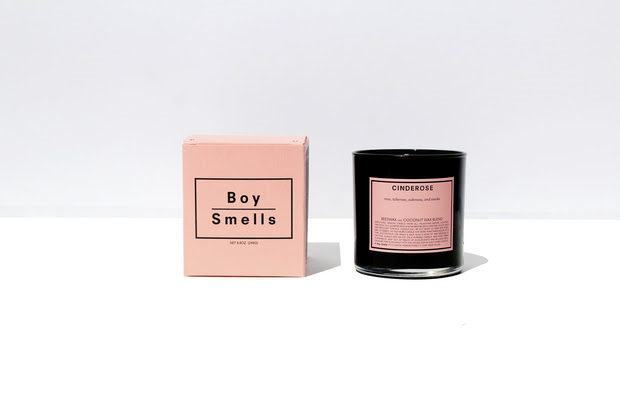 Boy Smells scented candles are the creations of David Kien and Matthew Herman who established the brand in 2014 in the Pico-Union District of Los Angeles California. Whimsical and irreverent, the eclectic collection offers a variety of smells ranging from subtle to bold, designed in easy sophistication and hallmarked by the signature Boy Smells matte pink label. 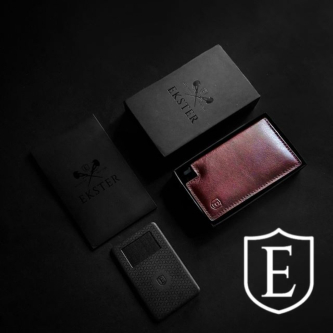 What began as a scent experiment has quickly emerged into a robust collection of eleven styles. 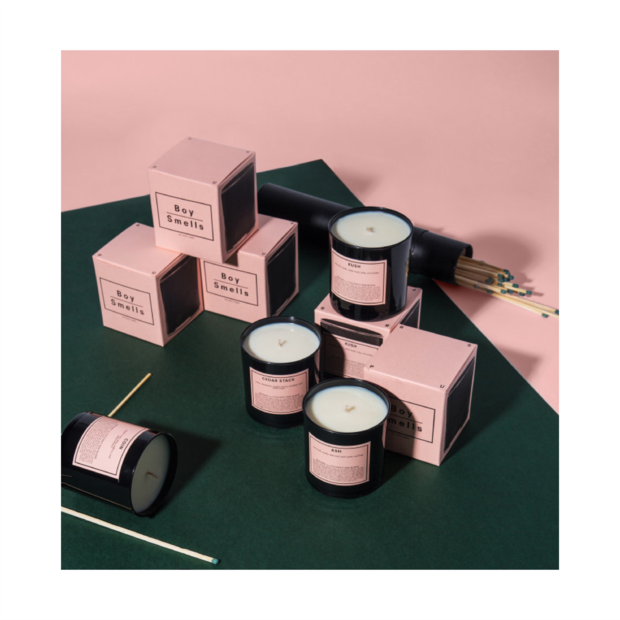 Each candle is designed with a uniquely personal expression in mind; notes plucked from a catalog of olfactory memories are offered in a modern context by crafting candles that are familiar yet unexpected. Boy Smells is purposely tongue and cheek. We approach candles the same way we approach all design: with a sense of humor and accessibility for everyone. Identity is so much more layered and complex than it used to be, and the scent is a landscape that can truly explore these cultural changes. There are masculine scents that our girlfriends like, and feminine scents we love. So, for us scent is gender-fluid. 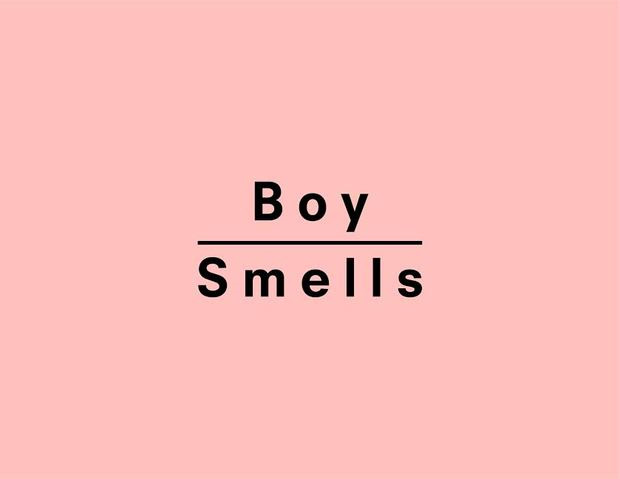 In fact, Boy Smells intentionally plays with the preconceptions of scent designed for gender. It’s meant to be fun and irreverent and enjoyed by all. This is what differentiates Boy Smells. Coconut and beeswax blended candles with a braided cotton wick, in a glossy black glass tumbler. Comes in an embossed matte pink carton. Manufactured in Los Angeles, CA. 8.8 ounces (249g). 3.4 inches (8.6cm) tall.